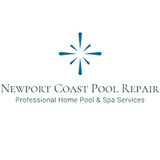 Are you tired of your current Newport Coast pool and spa service provider? We specialize in residential pool and spa services and have an outstanding 30+ year track record. We've seen it all. Many of our clients come to us simply because they are looking for cheaper rates. Others are a bit more complicated as they have received poor, inadequate and inconsistent service in the past. We want to build a long term relationship. We want to earn your trust and continued business. Affordable, reliable and overall just good pool and spa service in Newport is hard to come by. That's why we are here and ready to help you. 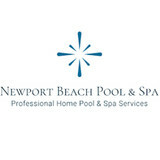 Are you tired of your current Newport pool and spa service provider? We specialize in residential pool and spa services and have an outstanding 30+ year track record. We've seen it all. Many of our clients come to us simply because they are looking for cheaper rates. Others are a bit more complicated as they have received poor, inadequate and inconsistent service in the past. We want to build a long term relationship. We want to earn your trust and continued business. Affordable, reliable and overall just good pool and spa service in Newport Coast is hard to come by. That's why we are here and ready to help you. Are you tired of your current Aliso Viejo pool and spa service provider? We specialize in residential pool and spa services and have an outstanding 30+ year track record. We've seen it all. Many of our clients come to us simply because they are looking for cheaper rates. Others are a bit more complicated as they have received poor, inadequate and inconsistent service in the past. We want to build a long term relationship. We want to earn your trust and continued business. Affordable, reliable and overall just good pool and spa service in Aliso Viejo is hard to come by. That's why we are here and ready to help you. What should I look for when hiring a pool cleaning service in San Joaquin Hills, CA? Pools and hot tubs are big investments, so you’ll want to make sure to protect them by hiring an expert who cares about them just as much as you do. 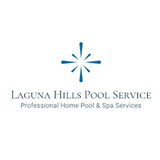 Check that the San Joaquin Hills swimming pool maintenance service you are interested in actually specializes in the type of pool you have — chlorine and salt water pools have very different needs, and in-ground versus above-ground pools will require different upkeep and repair methods. Also, know who will be doing the repair or service; if it’s one of the larger swimming pool services in San Joaquin Hills, CA, request that you get same person every time, otherwise you could get inconsistency in treatments. Good San Joaquin Hills pool professionals will keep a consistent schedule and log everything they do so that it can be referenced in the event that you switch companies or something does go wrong. Like any other professional, look for local pool cleaning companies near you with plenty of good reviews and relevant experience. 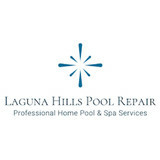 Find a San Joaquin Hills, CA swimming pool repair and maintenance specialist on Houzz. Narrow your search in the Professionals section of the website to spa and pool maintenance companies in San Joaquin Hills, CA and read reviews and ratings for pros in your area.